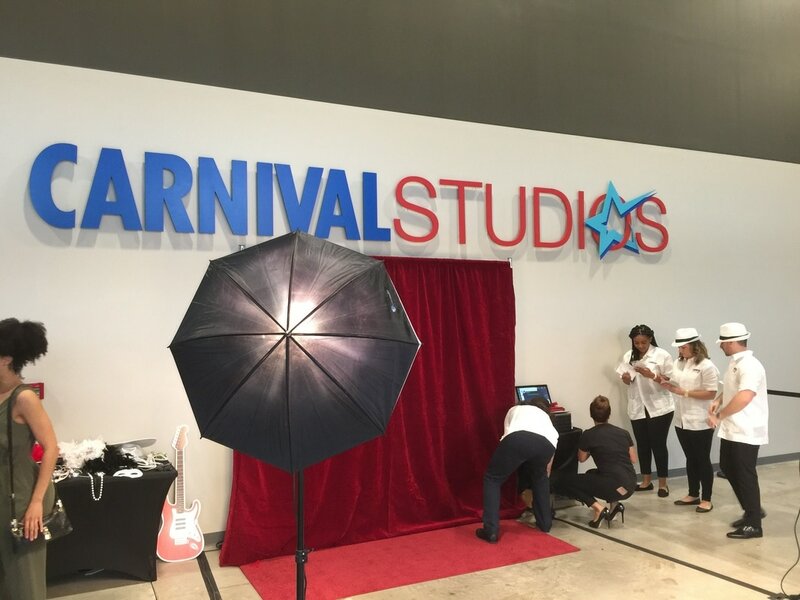 With the glitz and glamour of a Hollywood premiere, Carnival Cruise Lines unveiled its state-of-the-art rehearsal complex, Carnival Studios, today in Davie, Florida. 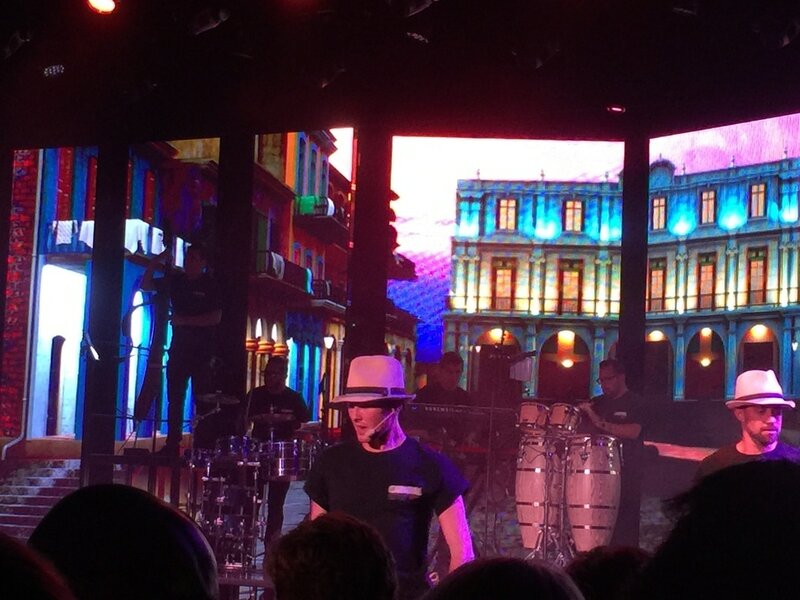 Three years in the making, and billed by Carnival as "the only facility of its kind in the cruise industry," Carnival Studios occupies 44,500 square feet and features 13 full-scale rehearsal rooms, eight music studios, 4 studios that replicate the stage spacing on all Carnival ships, scenic storage and a development studio with an LED wall. 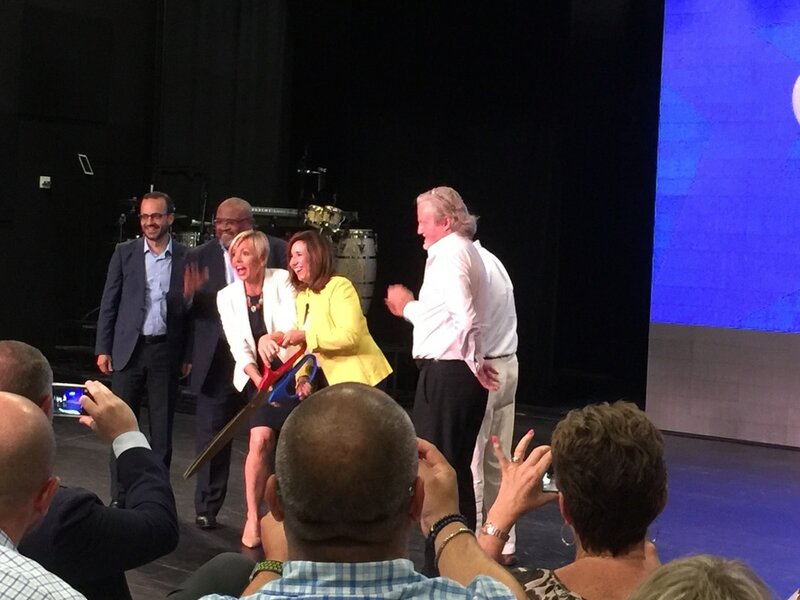 Carnival executives, led by Sarah Beth Reno, VP-entertainment, and Christine Duffy, Carnival president, were on hand for an official ribbon cutting ceremony. 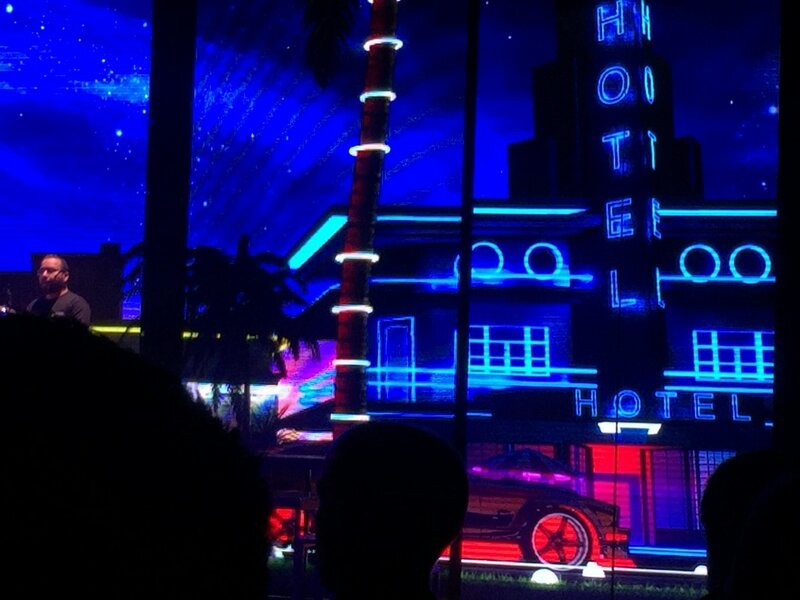 “Whether it’s our elaborate production shows, our popular rock bands or solo artists performing throughout the ship, entertainment is a huge part of the Carnival vacation experience and this spectacular rehearsal space provides us with unprecedented opportunities to develop exciting new choices for our guests,” said Reno in a press release. Speaking to a group of employees, trade press, contractors and invited guests, Reno called the new Studio "a dream come true" as she thanked the many people and workers involved. In selling the concept to upper management, she said the case to build it got a big boost when they discovered on-board rehearsals displaced 8,500 cabin days a year -- space that could have been sold to paying customers. Needless to say, it's a Godsend for the managers who must stage the myriad number of entertainment attractions throughout the Carnival fleet. During the planning phase, Ms. Duffy noted she "tried to get my head around how Carnival was doing what we do on the ships with the entertainment team without a rehearsal studio." 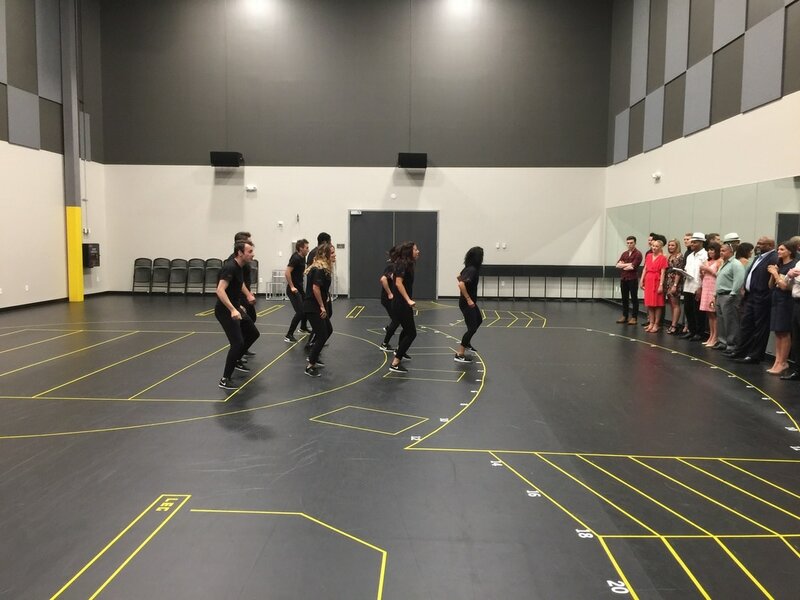 Carnival notes the new facility "brings entire bands, casts, and technical teams from every ship together shoreside for intensive rehearsals as a team, while providing additional opportunities to conceptualize innovative new shows on site. 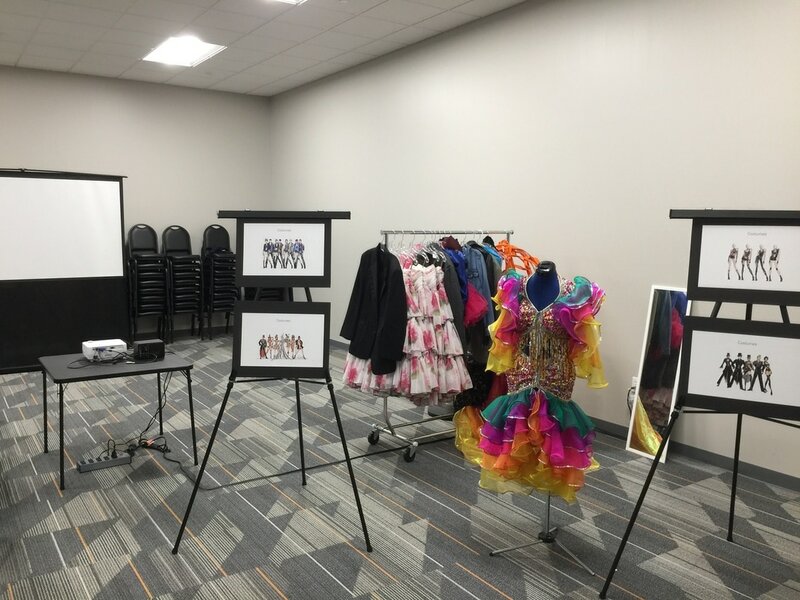 More than 500 entertainers and performers will convene at Carnival Studios to rehearse new shows that are constantly being rolled out across the fleet." 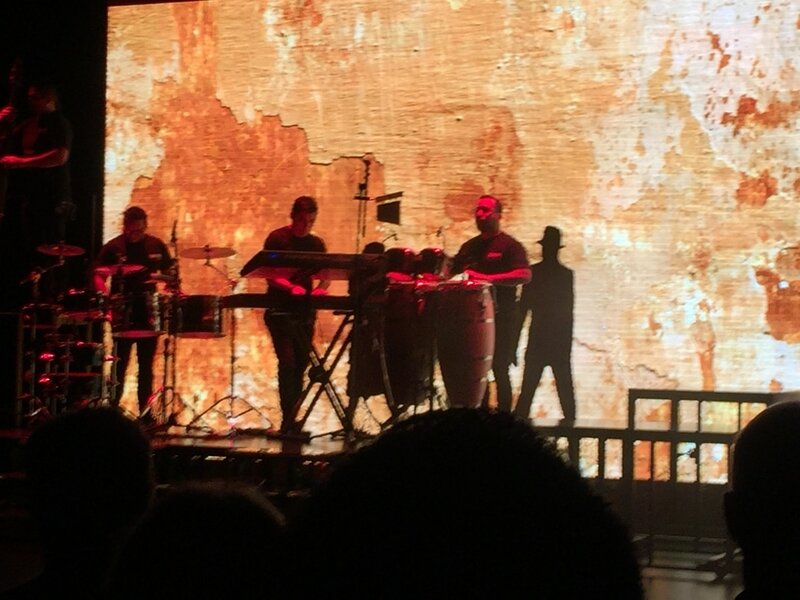 To mark the occasion, guests were treated to the high-energy Latin production, "Amor Cubano," a virtual visit to the sights and sounds of Cuba. The only thing better would be walking up the gangway to Carnival Paradise out of Tampa and heading for Havana. but are still waiting for a callback.